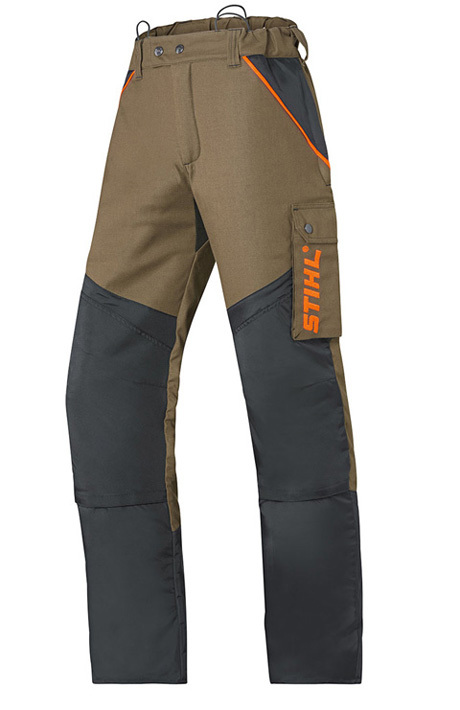 Brushcutter and work trousers with a triple function: impact protection, thorn and water resistance. Good breathable properties. Robust outer fabric in vintage look, high cotton content and 18% durable stretch. 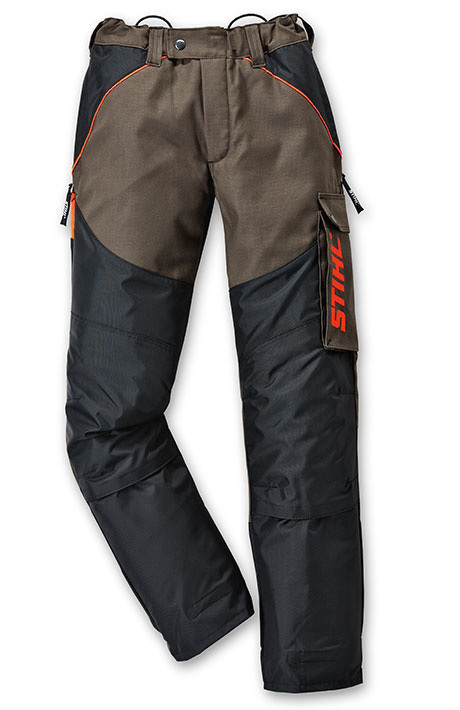 Ventilation zips on the back of the thighs. Two hip pockets with zip, back pocket and tape measure pocket on the right. Thigh pocket with integrated mobile phone pocket on the left. 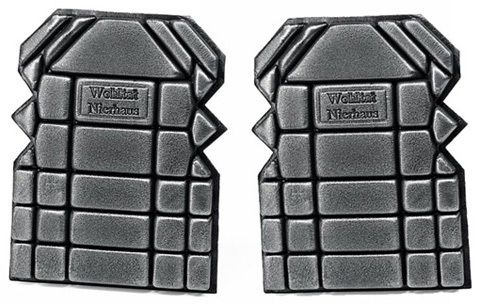 Knee protectors and leg protection (both optional) for special jobs. For all clearing saw and hedge trimmer trousers. 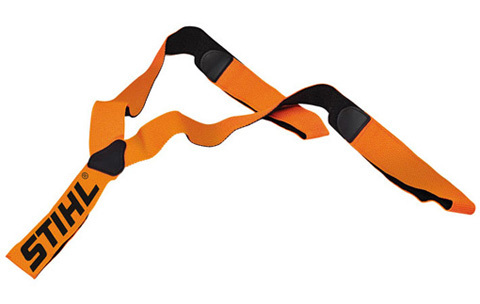 Elasticated braces with elasticated velcro, prevents chafing from the harness. Suitable for all sizes. 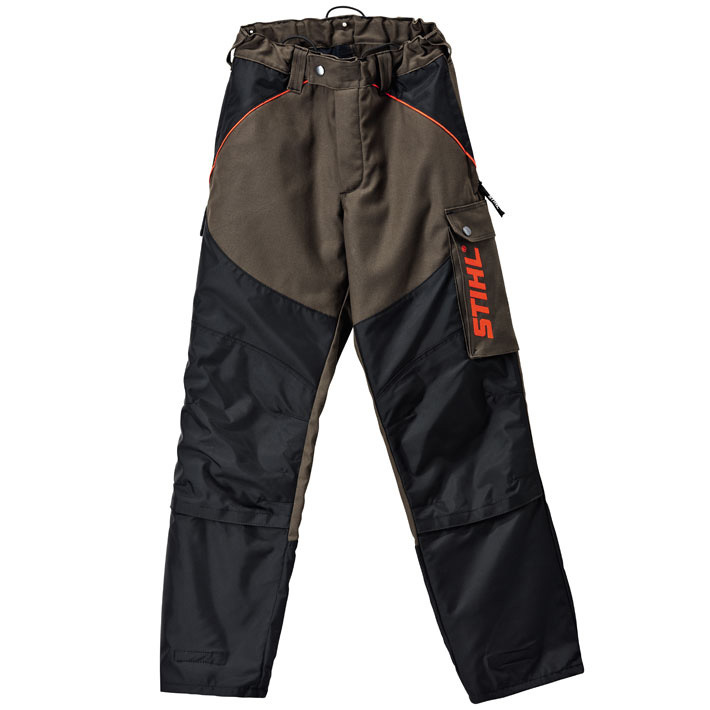 Suitable for MultiProtect & TriProtect trousers, 65% polyester, 35% cotton, 50cm in length, additional patented and breathable impact protection for extreme jobs. 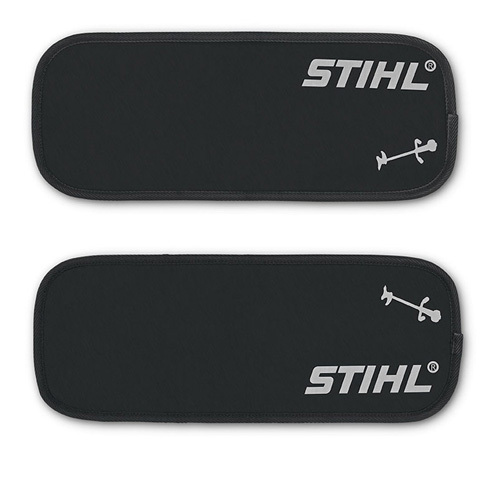 Black, 100% polyethylene, for insertion in kneepad pockets, compatible with knee pockets of all standard trousers.